Party planning is a tough task, especially when you aren’t familiar with all that it entails. There’s the food, the band and other entertainment options, décor, souvenirs, and activities to keep your guests engaged in fun throughout the entire event – it’s a lot to take on yourself, and it’s helpful to have outside suggestions from experts in the event-planning business. Here at Creative Event Services, we recommend countless options for event features, including the Bead Factory. The Bead Factory is a great option for all types of events, and offers event hosts a unique option for entertaining guests. 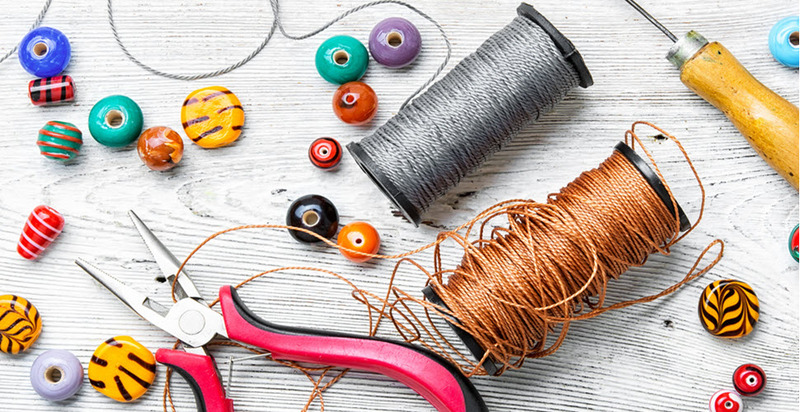 There are plenty of benefits of having the Bead Factory at your next party, including the loads of fun, creativity, and excitement it brings. In this blog, we’ll talk about what makes the Bead Factory a great option for party planning. The Bead Factory is a creative, immersive experience that appeals to the masses. It is a way to establish lasting memories between different generations of individuals of all ages in a tangible form. In other words, the physical creation you make will stay with you forever, as a way of preserving the special moment in time. Keeping your guests engaged in activity is part of what makes an event successful and memorable. The Bead Factory is a great way to integrate entertainment into a stationary activity. Guests have called this activity “creative,” “loads of fun,” and even “cathartic.” The great part is that it doesn’t need to be an exact science, unless you want it to be! Bracelets – friendship bracelets are a great way to unite guests and create memories. Necklaces – don’t like the idea of a friendship bracelets? Try a necklace instead! Key Chains – making a unique, colorful key chain is a great way to recognize your keys out of the bunch, drawing your eye to them instantly. Fashion adornments – you can use your beaded creation to attach to a purse, backpack, or even make an anklet out of it! What audience typically enjoys the Bead Factory? 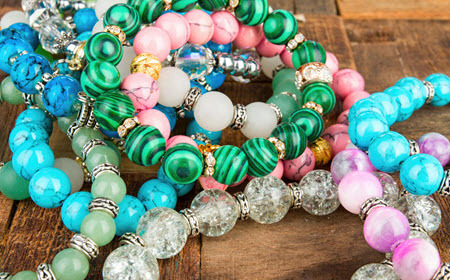 Contrary to popular belief, one of the great aspects of the Bead Factory is that it isn’t exclusive to just kids – adults of all ages always participate in the fun and make their own creations too. Even if your event is for all adults, it’s a great way to bring out their creative, fun side and allow them to relax and use their imagination for a bit. As we said before, it’s a cathartic activity for some, where they may not get that down time in their usual schedule to be creative, imaginative, and enjoy a moment to themselves. Creative Event Services is an event-planning service local to Boston, Hartford, and New York that utilizes some of the most unique, fun, and engaging event activities and features in the area. The Bead Factory is one of our most popular event options that party guests simply can’t seem to get enough of, and is constantly being booked at events nearby. No matter what type of event you’re hosting, the Bead Factory will be a hit. To get a better idea of what the Bead Factory is all about, please feel free to contact us to speak to one of our event-planning specialists.